Fusion5 may not be a name familiar to many people, as we are usually drawn to bigger organizations like Google, Windows, or Apple. The company’s products, however, provide very strong values that can’t be overlooked. Fusion5 is a leading independent brand in the UK selling Tablet PCs since 2010. Today we are looking specifically into one of their powerful tablet PCs named “10.1-inch Fusion5 Android 7.0 Nougat Tablet PC”, and I can simply assure you not only the performance is impressive, but the price also. Although this 10.1-inch Tablet is quite affordable, its design does not fall short of those on the pinnacle. The body is made of plastic which is carefully tailored to give a comfortable feeling when sitting in your hands. Weighted less than 600 gram, the Fusion5 Android Tablet can be carried to every destination of your desire with ease. It’s, thus, a perfect companion to support both your office and your home. It might even be your new car buddy as it has a good GPS system to guide your way. The screen is surely packed a punch with its 10.1 inches and 1280×800 resolutions, an excellent match for movies and gaming. The screen protector also comes pre-installed making it ideal for kids. The Tablet also supports HDMI in case you want to take it onto your big screen at home. For the cameras, the model comes with a 2-million pixel on the front and another on the rear at the same resolution. The Fusion5 Android 7.0 gives you with two varieties, 16GB and 32GB when talking about storage. The price gap between the two, however, is not very big, so we recommend buying 32 GB for extra space and value. The Fusion5 Android 7.0 Tablet’s IPS screen display performs exceptionally well providing vivid colors and beautiful outputs, while its 1.3 GHz MediaTek Quad-Core runs smoothly on every task thrown at. The 1GB DDR3 Ram is also capable of giving bliss experiences for your movie time and your favorite game session. With the powerful performance combined with Android 7.0, the Tablet gains access to tons of applications to keep you entertained for its lifetime, which is why we recommend you to buy the 32GB variation. The Fusion5’s battery life is surely impressive which can keep up for hours even for a heavy user. Its cameras are designed for everyday purposes whether it’s a fun family snapshot or some quick vids of your lovely cat, and it won’t disappoint you at that. Talking about the speakers, if you are not the type that loves to go “Bang and Boom”, it will be able to satisfy you with enjoyable sound. Fusion5 Android 7.0 Tablet is a great Tablet in the market not solely because of its price but the capability of the speed and display as well. It has everything you can ever wish for a Tablet at this tier, reliable wireless, smooth performance, 32GB storage, long-lasting battery life, and many more. Therefore, the Android Tablet can definitely find harmony with you in every field of your life. Consider buying one now or pay more to get less, it’s your call. Processor: 1.3 GHz ARM Cortex-A53 64-bit Quadcore processor with 3D graphics (OpenGL|ES 3.1). In addition to built-in 32GB Storage, 104+ also accepts a micro sd card (tf-card) of up to 128GB. Fusion5 – Excellent Value, Superb Design, Best Experience. Best Windows Tablet PC. Ultra Slim and Ultra Style: Windows 10 Tablets – The ultimate user experience. This Fusion5 Windows Tablet PC is fully-loaded with the latest user-friendly Windows 10 package. So watching movies/ videos, browsing the web or working – It’s the ideal Windows Tablet PC for you! Powerful and with Mega Storage Space – What more is there? 2GB of RAM – 32GB of storage (please note: part of storage is pre-occupied by OS). Your new Windows Tablet Laptop PC is all ready for work, fun, and play! This is a greatly powerful Windows Pro Tablet! 10-inch Graphic Display for Optimal Viewing – The 10-inch screen on this Fusion5 Windows 10 Tablet PC is great for viewing our favorite TV shows, movies/ videos, Youtube and playing games! Want More? This is a Bluetooth 4.0 Windows PC Laptop Tablet. Equipped with Intel Quad Core Processor, and full-size USB port. Ultra Slim – Ultra Stylish – This Fusion5 Windows Tablet PC, with its 10 inches is fantastic for watching movies/videos, browsing the web, work and study. Windows Tablets surface for plush user experience. Amazing Storage Space and Power – With its Intel Quad Core Processor, 2GB RAM and 32 GB Storage and Bluetooth 4.0 – It’s a little pocket dynamo! And of course, 12 Months Free US Warranty and A US Service Center. Just bring in your Windows Tablet Computer! Why Buy this Fusion5 Windows 10 inch Tablet PC? – This ultra-slim and elegant Windows Laptop Tablet not only ticks all the boxes in terms of ultimate usability, delightful graphics, and overall specs. It also comes with 12 Months of Full US Warranty and A US Service Center. 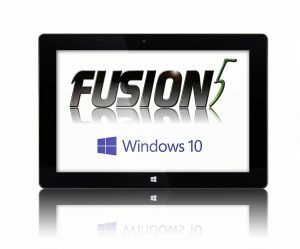 We are, in fact, so confident about the reliability, durability and the total performance of this Fusion5 Windows Tablet Computer that we can safely offer you a 12 month US warranty – This is serviceable at any of our US service centers nationwide.